Of course you can be the gifter and the giftee! Hello? We all need to pamper ourselves sometimes, and who better to know exactly what you want than your good old selfie! 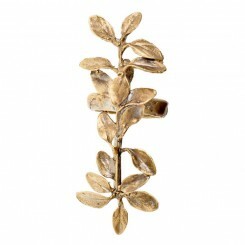 Our most dedicated Beyond Gifted clients engage in regular self-gifting. 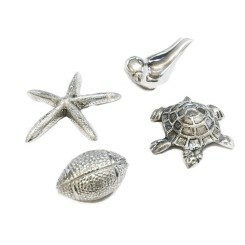 It's a quick way to earn points and get to Golden Gifter Status! Here it is! 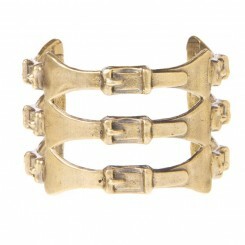 One of our Alkemie Jewelry best selling cuffs reconfigured to become a buckle! We love i.. 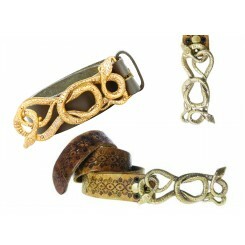 The intertwined serpents on this buckle are nothing short of amazing, as is typical with Alkemie Jew.. 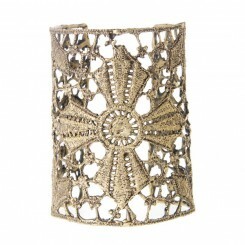 The corset cuff is one of Alkemie Jewelry’s newest and most exclusive designs, inspired by the love .. 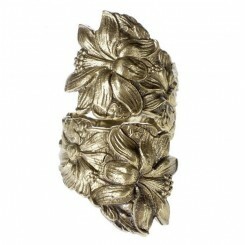 This fern ring is a nature inspired design by Alkemie Jewelry. The elegant wrap style perfectl.. 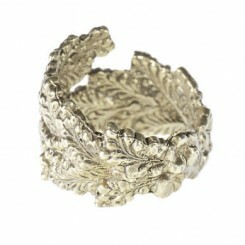 The gingko leaf has been found in fossils from 270 million years ago, and is one of the oldest tree'..
Be gentle and you can adjust this ring to fit your finger. 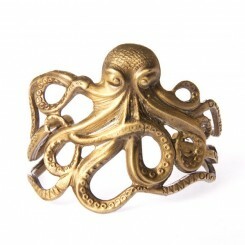 The inspiration for this ring came .. 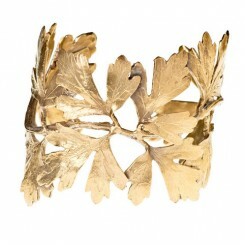 These long leaves gracefully climb up your finger with elegance, and are typical of Alkemie Jewelry’..
A piece of antique lace was the inspiration for this exquisite cuff! 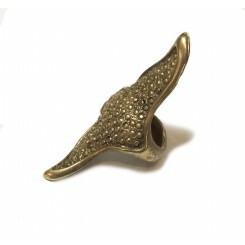 The designers at Alkemie ..
Manta rays are spectacular creatures, and make for the perfect Alkemie Jewelry creation. Floating gr.. 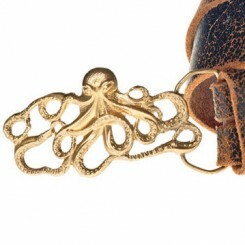 This Alkemie Jewelry octopus is a mythical creature of the sea, made into a work of art. One o.. 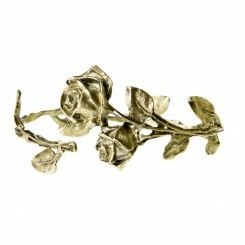 Roses have long been a symbol of love, and they are made even more beautiful by the artistic brill..
Sold individually. (Three shown in photo). 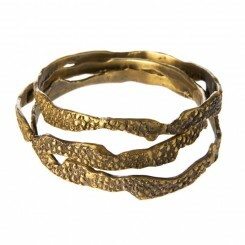 This Stingray bangle is adopted from Alkemie Jewelr..
A regal piece indeed with its gilded finish. 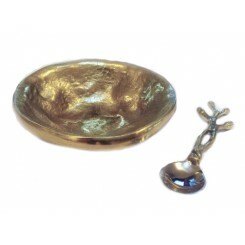 This unique artisan serving dish mimics the forma.. 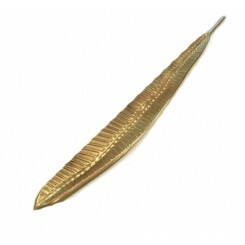 This unique artisan serving dish mimics the formation of a lengthy banana leaf. 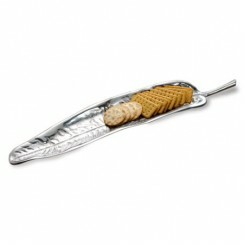 An elegant opt..
Beautiful set of bowl and spreader with elegant organic shaped curves and fine multi-size beading on.. 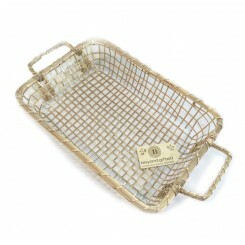 The perfect piece to display fruit, hand towels, or serve bread and goodies. 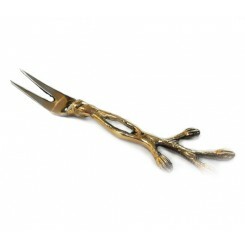 This gilded alumi..
Steel and gilded steel finish fork. 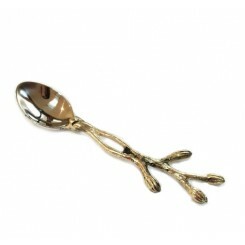 Perfect for lunch meats, smoked salmon, meatballs or small appet..
Steel and gilded steel finish spoon. Perfect for sugar, nuts, or small items. 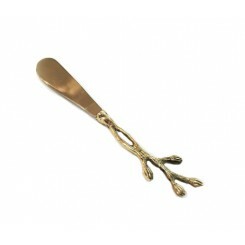 Use with our oth..
Steel and gilded steel finish spreader. Perfect for dips, butter, or cream cheese. Use with ou.. 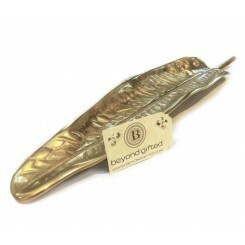 This unique artisan serving dish is similar to the banana leaf tray, but longer and narrower. 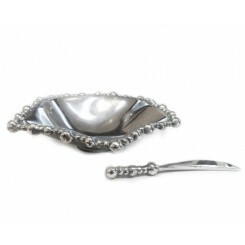 ..
Small, heavy serving bowl perfect for sugar, appetizers, or nuts. 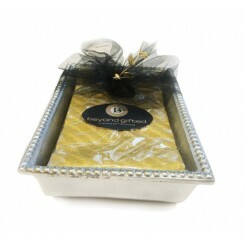 Part of 2-piece set with gil..
Classic Beaded Napkin holder comes with designer napkins for a refined, but artsy feel. Dimensi.. The easiest way to add a theme to your party or your home in general. These fabulous napkin we..